Alhamdulillah on Sunday, Queenaya has already collect 200 pieces of clothing worth taking. 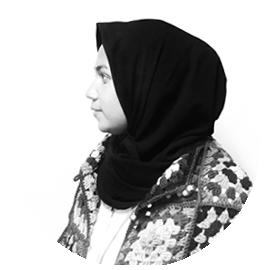 This cloth come from some friend are participated at Hijab Workshop By Queenaya. 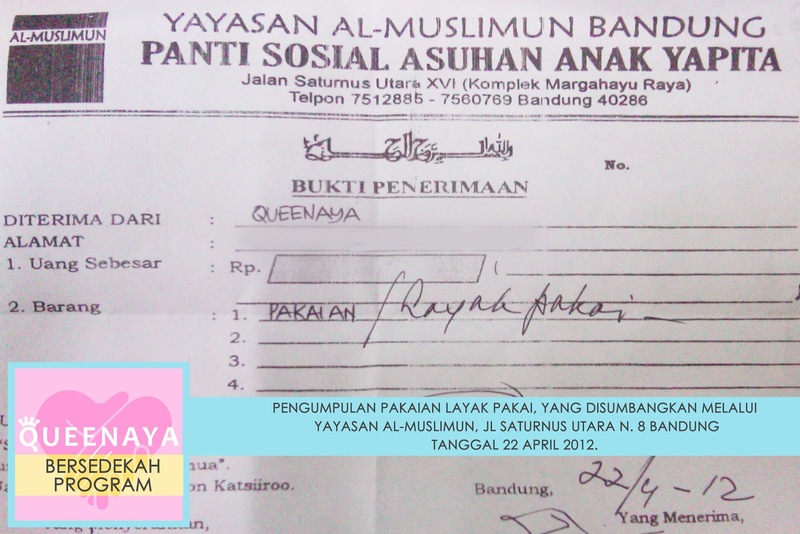 Thank you for all friend that already join with us on Queenaya Program Bersedekah, with main purpose collect 1000 of of clothing worth taking to donate to the poor. 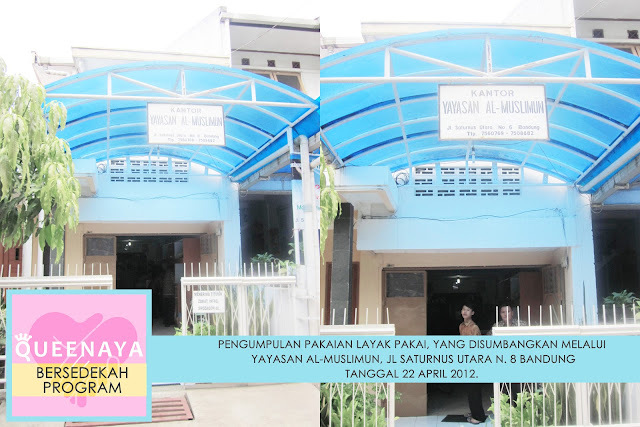 On Sunday, April 2012 we just gave the the 200 pieces first of clothing to Yayasan Al-Muslimun that places at. Jl. Saturnus Utara No. 8 Bandung.